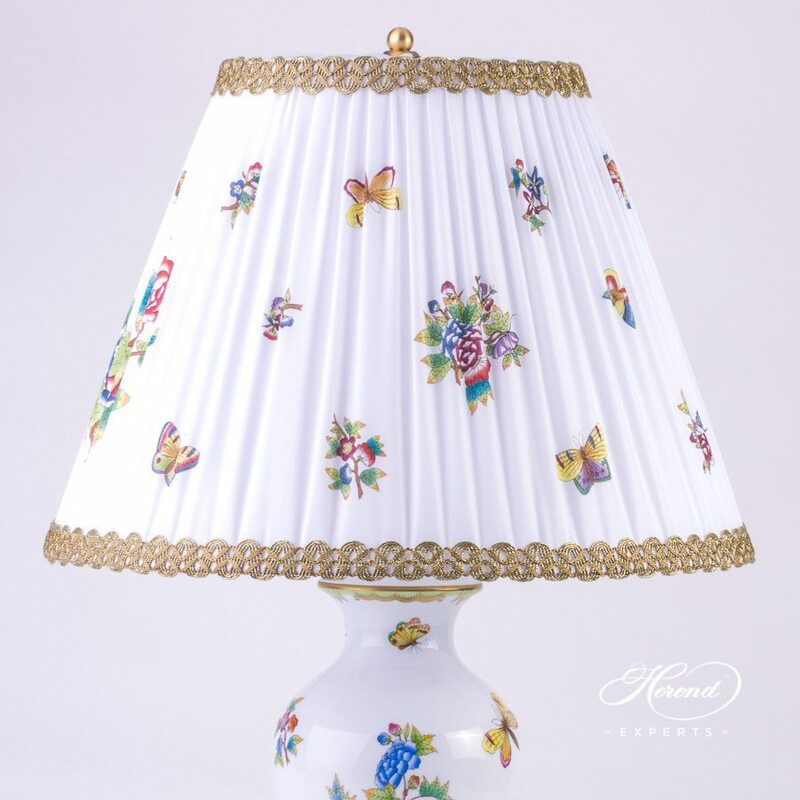 Herend porcelain Large Lamp with Shade - Herend Queen Victoria VBO pattern. Large size Classic Desk Lamp. 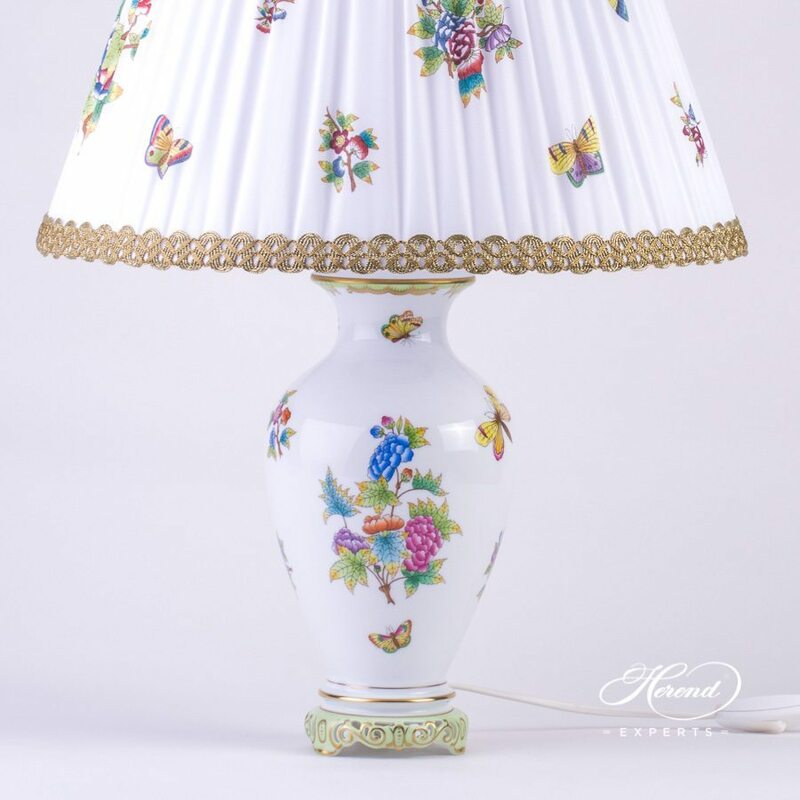 The silk shade of the Herend Vase Lamp is also hand-painted. The Queen Victoria VBO pattern is available in other colors in blue, green, pink, etc. colors as well. 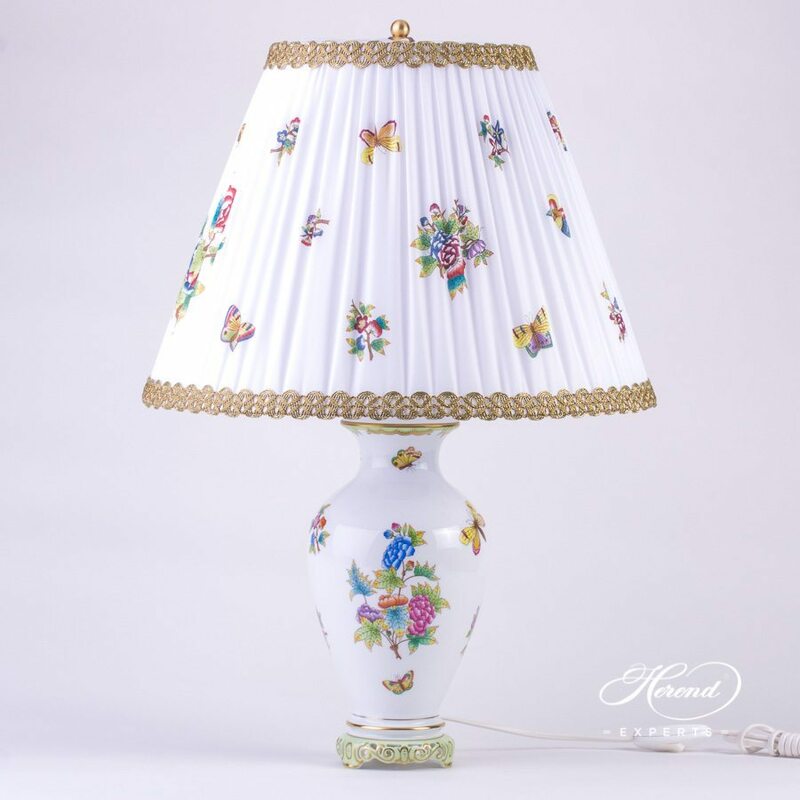 This Herend Desk Lamp can be ordered in many different Herend patterns.